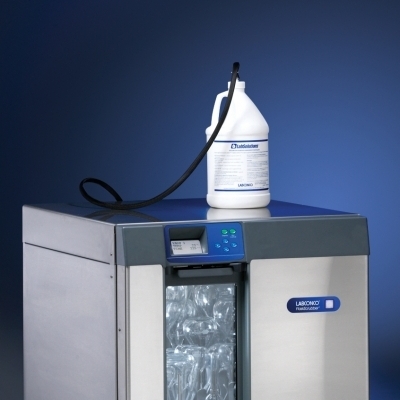 FlaskScrubber Glassware Washers are designed to wash and dry narrow-neck and general purpose labware. 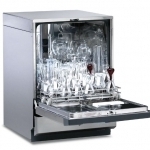 Their lower spindle rack holds up to 36 pieces of narrow-neck glassware such as volumetric flasks. 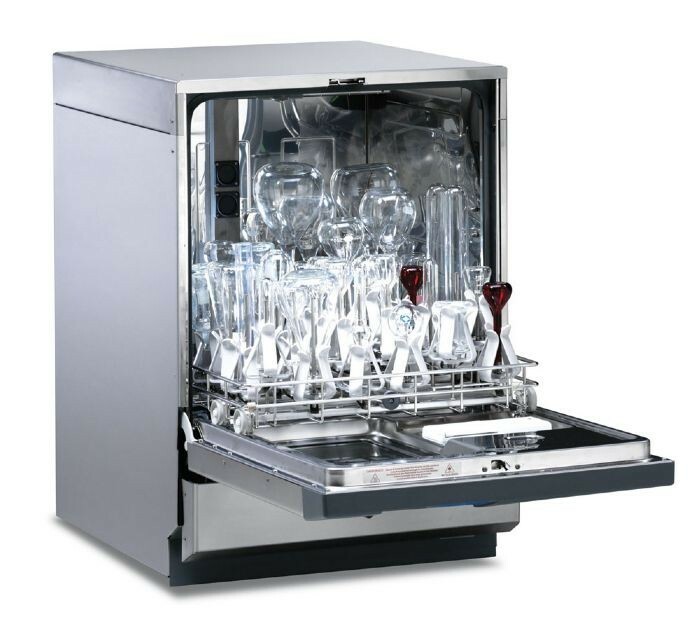 Water and detergent are pumped through the spindles to reach the innermost areas of your glassware. 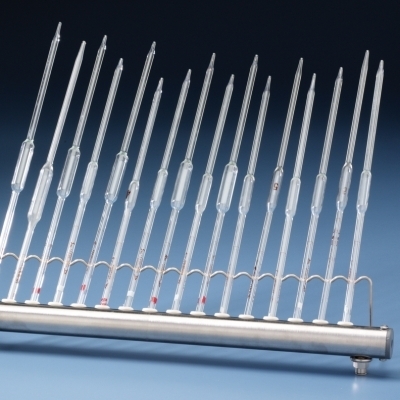 Specialized inserts for pipettes, BOD bottles, petri dishes, culture tubes and small utensils make the FlaskScrubber versatile. 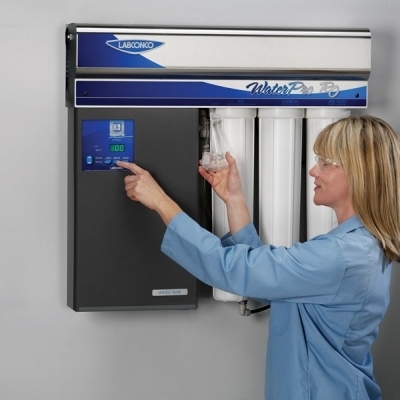 Forced air drying through the spindles (not available on FlaskScrubber 33 models) ensures thorough drying inside and out. 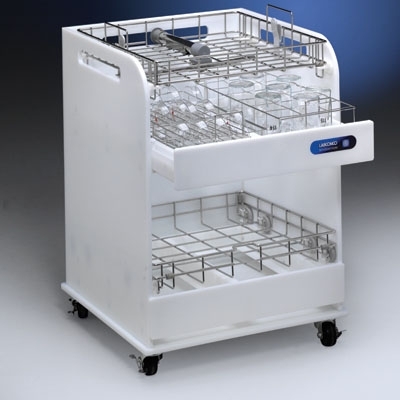 Optional Upper Standard Rack or Spindle Rack to increase washer capacity. 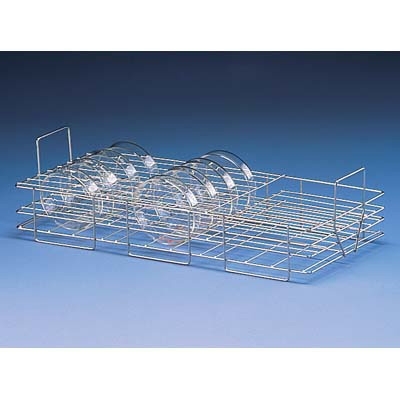 A Lower Standard Rack may be used instead of the Lower Spindle Rack. 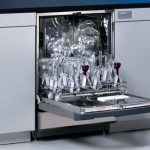 EPA residue testing showed the FlaskScrubber cleans reusable glassware of trace metals, volatile and semi-volatile organic compounds. 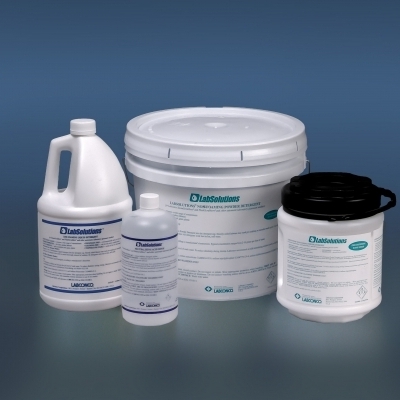 Contact us to get the third party cleanability study conducted by an analytical laboratory. 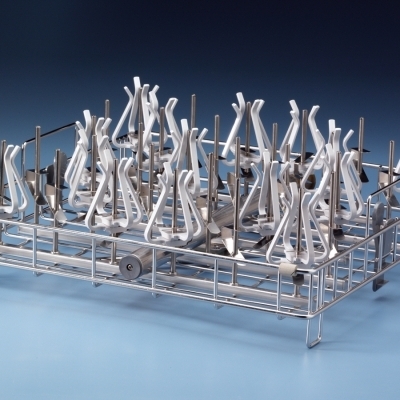 Lower spindle rack, of Type 304 stainless steel, with 36 detachable large spindles for washing narrow-neck glassware. 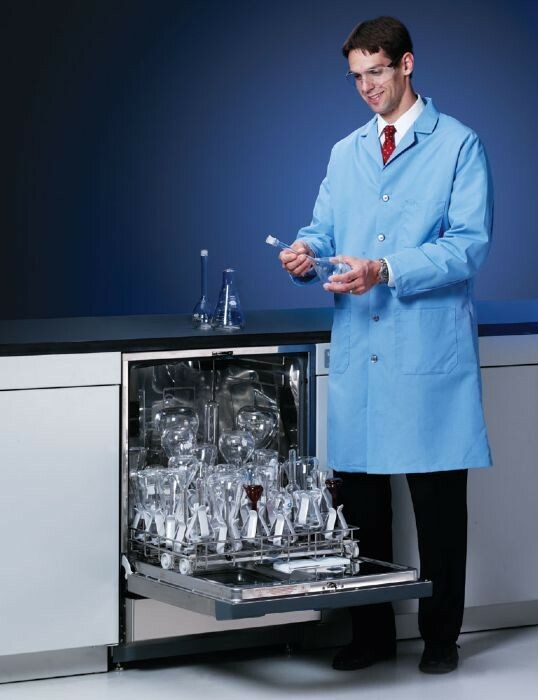 Rack accommodates a variety of inserts for holding beakers, culture tubes and other specialty glassware (inserts sold separately). Factory-set cycle programs. 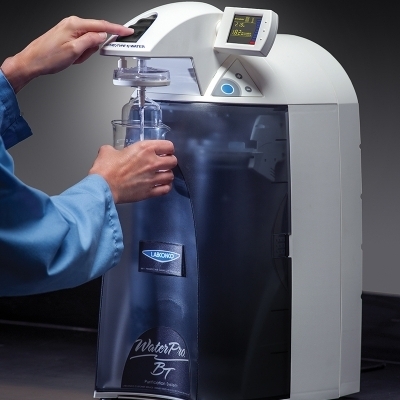 All 115 volt models have seven programs: RINSE ONLY, PLASTIC, GLASS, GLASS PLUS, SCIENTIFIC, SCIENTIFIC PLUS, and DRY ONLY. All 208/230 Volt models have three additional programs for a total of ten: INTENSE, INTENSE PLUS and EXTREME. 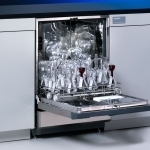 Programs may be locked to prevent unauthorized changes. Alarms with display for HOT GLASS, PLEASE WAIT, WATER LOW, WATER HIGH and OVERFLOW, LIQ DETER, RINSE AID, DRAIN FAIL and LOW TEMP. 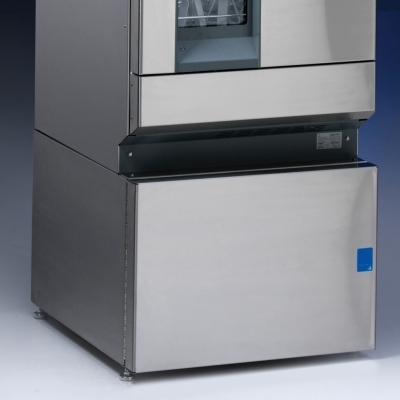 Type 304, brushed stainless steel door, tank, upper and lower wash arms. 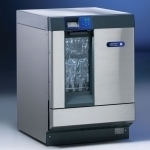 Freestanding models also have stainless steel exterior sides and top. 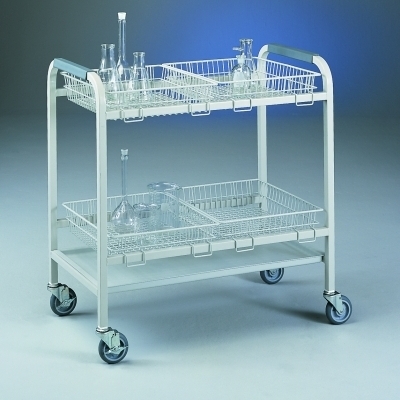 Accommodate optional Upper Spindle Rack with additional wash arm and side release latches (Upper Spindle Rack sold separately). 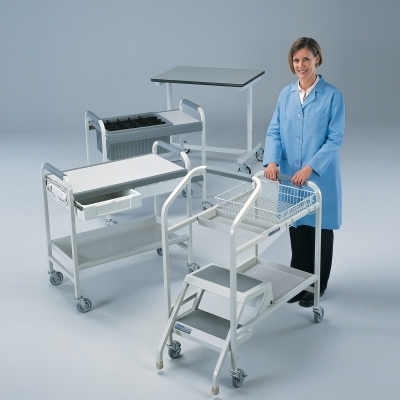 Accommodate optional Upper and Lower Standard Racks (sold separately). 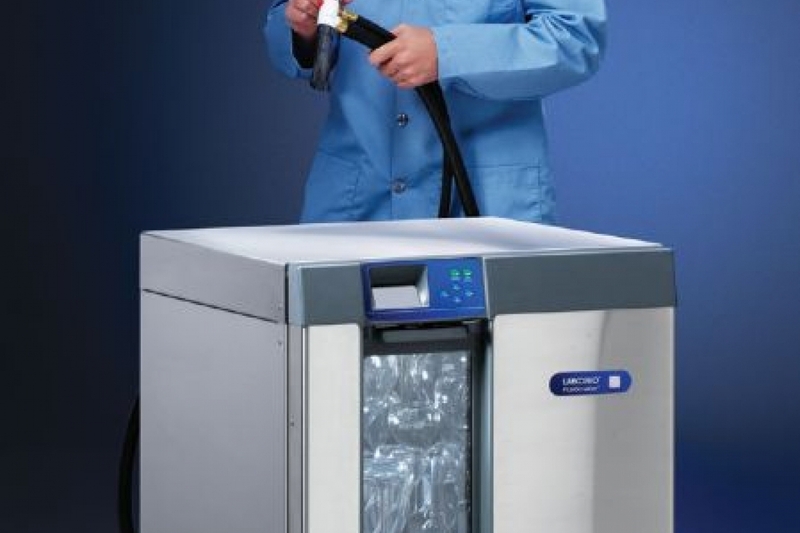 High heat on 208/230 volt models. 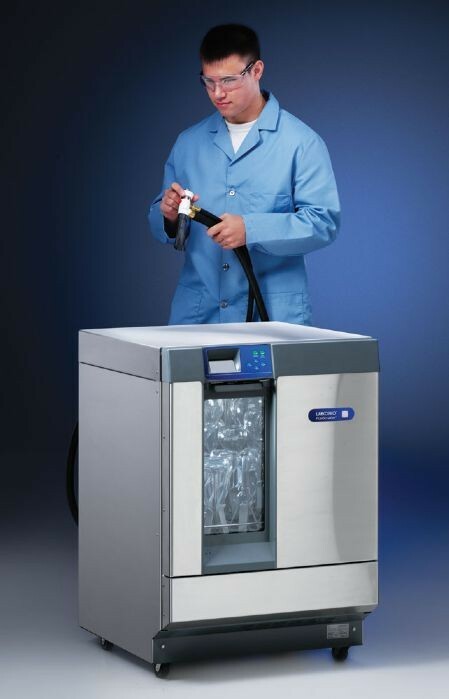 Interior temperatures reach sanitizing 93 ° C (199 ° F) with a minimum inlet temperature of 49 ° C (120 ° F). 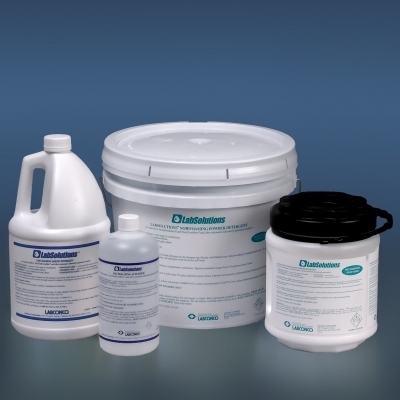 LabSolutions Powder Detergent, Low-Foaming Liquid Detergent, and Neutralizing Acid Rinse.